The award-winning Scandinave Spa Blue Mountain offers the unique Scandinavian Baths experience. Situated in a natural forest, minutes from downtown Collingwood & Blue Mountain Resort, the spa is open all year from 9am-9pm. Guests are encouraged to enjoy the serenity of the rustic environment regardless of the weather. The Baths experience is typically a 3-4 hour visit, and includes access to the Finnish Sauna, Eucalyptus Steam Room, Thermal & Nordic Waterfalls, Hot Baths, Cold Plunges, Fireplaces and Relaxation Areas. 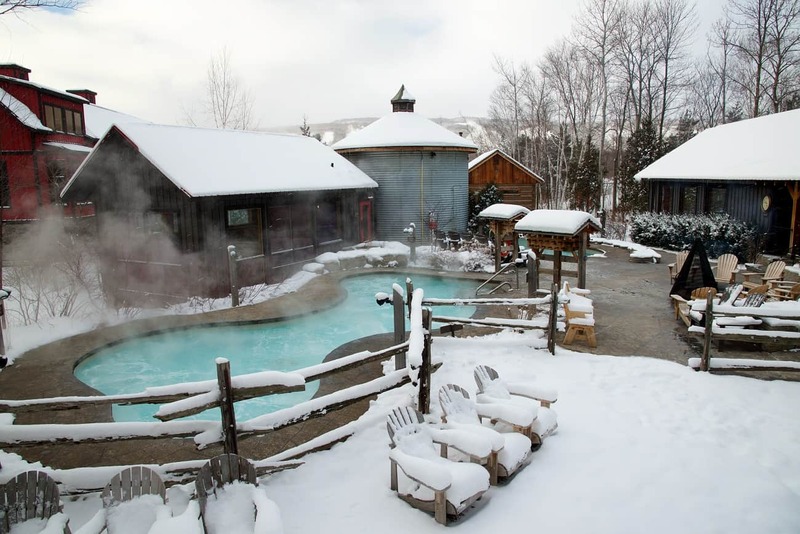 Scandinave Spa Blue Mountain offers Registered massage treatments, memberships and yoga classes. There is also an on-site bistro serving healthy local fare. Relaxing spa packages are offered in partnership with local area accommodators that change seasonally. Guests can also peruse the boutique for bathing suits, sandals, robes as well as other unique offerings. 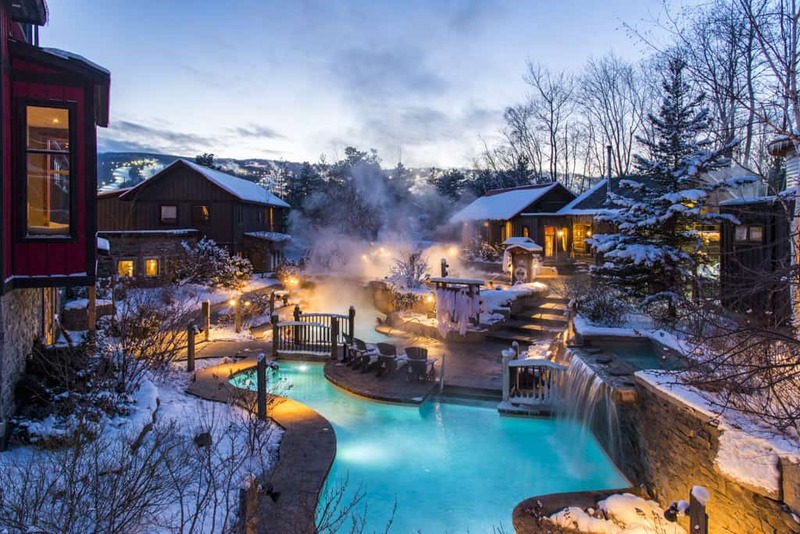 We are often asked what makes the Blue Mountain location different from our sister Scandinave Spas and other spas in Canada. Our differences make us a truly Ontario, Canada attraction. 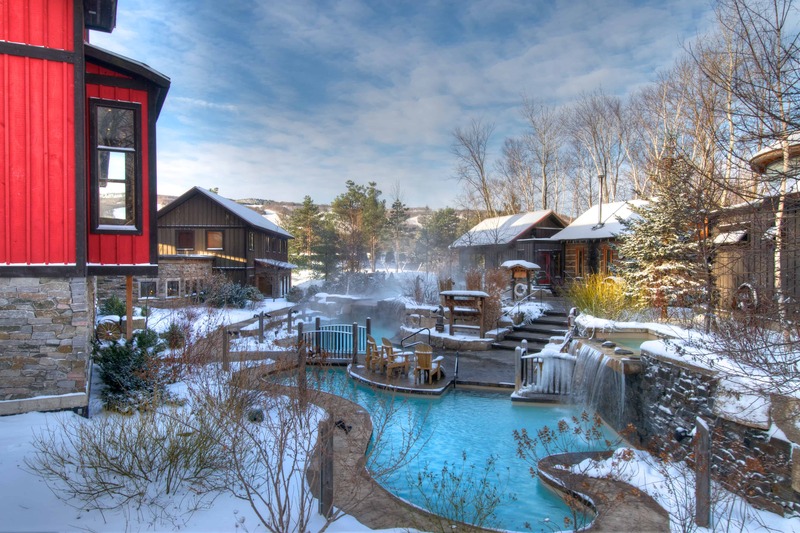 Situated on 25 acres of natural Ontario birch, Canadian maple and pine trees, the Spa has expansive views of the UNESCO World Biosphere Reserve Niagara Escarpment. Visitors in the Fall are treated to a colourful tree display as well as the occasional turtle, tree frog or wild turkey. In the winter months, guests soak in the Baths and can watch Blue Mountain Resort skiers curve down the slopes under the night lights. In Spring and Summer guests explore the trails, cycling routes or take a short drive to the world’s longest fresh water beach, Wasaga Beach, and other impressive shoreline accesses on Georgian Bay. Call 877-988-8484 or 705-443-8484 for more information.